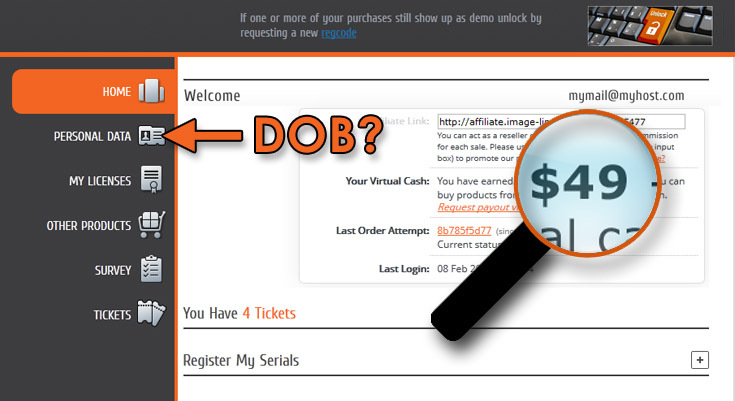 Newsletters - No DOB - IL Virtual Cash available? We have updated the MY ACCOUNT page at Image-Line. IL VCash - You may have forgotten to use your FL Studio box version 9 / $49 Image-Line Virtual Cash (IL VCash). Personal data - We plan to use birthday data to reward customers, so check your info is updated. Use IL VCash to purchase FL Studio Lifetime Free Updates for just $39, Sample Packs or combine it with a regular payment. Don't forget to check your personal info for correct birthday and address. For details on how to download and update FL Studio check this video. If you have any problems using your IL VCash please create a support ticket.